What do Michael Bublé, Simon and Garfunkel and Lynyrd Skynyrd have in common? They’ve all had massive hits with lyrics about the yearning to be back home. Longing for home is a natural emotion because home really is where the heart is. You see human beings are creatures of habit. Most people like to have a routine. They head to work or school and then come home in remarkably predictable cycles. Any change and we can get upset, anxious and angry. It’s very sensible then to consider the psychological effects moving house can have on children. We’ll show you how moving with children can be a life-changing experience for the right reasons. It’s not always easy to plan months in advance for a move. Work may mean it’s essential to make a quick decision. This can be tough for kids. They are perhaps too young to be part of the decision process. They may also not understand it. Like many adults, children are happiest when things are familiar and when there’s a routine. If moving isn’t essential, it’s wise to think carefully about the advantages of any change. Would these outweigh the upheaval of leaving familiar surroundings and school? If there’s been a major event in the family such as a divorce or death, then it may be better to delay moving to give the kids time to adjust. It’s very important to make time and give the kids as much attention as possible in the build-up to moving day. It could be that you’re not exactly over the moon about moving yourself. It’s vital though to keep thinking and talking positively. Children are very good at picking any change of mood in those who are looking after them. They need security and reassurance at times like this, so keeping up that positive spirit and outlook is important. Part of the preparation for a move is to give your children as much information about what the move is going to be like. You should do this as quickly as possible and in an honest and truthful way. You’re almost certain to get a mix of both positive and negative reactions. It’s great that these can be communicated back to you. This will allow you to focus and reassure your kids on the aspects of moving that are most frightening to them. You should flag up any challenges that are likely to crop up during the moving process. This way you can begin to resolve issues together in advance. Remember, it’s far more simple to cope with something that’s anticipated than be shocked or unprepared for a sudden difficulty. Children should be kept in the loop during the planning process. This gives them a sense of ownership in big decisions that have to be made. That includes finding a new home and school or even taking charge of looking after the family pet. All this will make them less likely to feel that things are being imposed on them. If at all possible you should let them visit the new location you’re moving to in advance. If you’re moving across town, try to take your kids to visit the new house and explore the new neighborhood. If that’s not possible due to the distances involved, then help them research the area using the internet. No matter how exciting the prospect of a move can be it will almost inevitably mean a sense of loss too. This is especially true if the move means your children separating from someone they love or depend on. Your children need to be allowed to express these feelings. You will need to listen to their concerns. There will be ways you can mitigate the sense of loss in the future by suggesting they skype old friends, for example. They will begin to accept things but at their own speed. It’s thought that most children take somewhere between six months and a year to get used to their new lives. Very young children can be the easiest to relocate. They don’t have the experience to fully understand the changes involved. However, they will still need your reassurance. You could try using a story to talk about the move. Toy cars and miniature furniture can help illustrate the move in a way they’ll understand. Always reassure your children that you won’t be throwing any of their things away when you move. Arranging their bedroom furniture in your new home in the same layout as it used to be can bring a sense of comfort. Always have an extra pair of hands to help look after your little ones on moving day itself. Kids who are already old enough to attend school may be quite open moving. There are though still things to consider, especially if there is going to be a change of school. Some people think summer is the right time to move as it won’t disrupt the school year. Others prefer a midyear move so that the child can get to know other kids and make new friends immediately. It’s a choice that needs weighing up carefully. You may have a rebellious teen on your hands too. Remember how you were at that age. Your child may well have a substantial emotional investment in a school group. There could also be a romance going on too. Will they be missing a big school event that they want to attend? It’s vital to allow teens to know you want to listen to their anxieties. They deserve to be heard. It’s fine to explain that the relocation is part of growing up. It can act as preparation for changes to come, like going to university or starting a new job. Although moving can be a tough time, good things do come from change. The main thing is to handle your relocation with careful planning. 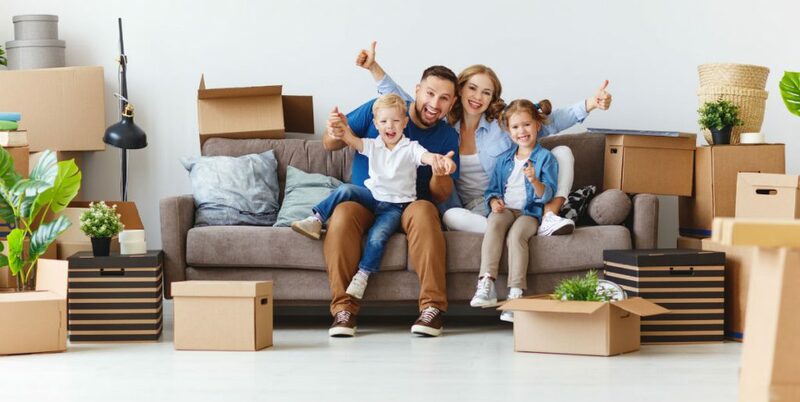 Whether you’re moving with children or not, check out the solutions we can offer you to help your move run more smoothly.